1 Fry the shallot, ginger and garlic in a pot in the butter. Add the squash, fry for a few minutes and then add the stock. 2 Season with salt, ground black pepper and nutmeg and cook on a medium heat for 20-25 min. 3 Puree using a hand blender, stir in 200 ml cream, bring to the boil and season to taste. 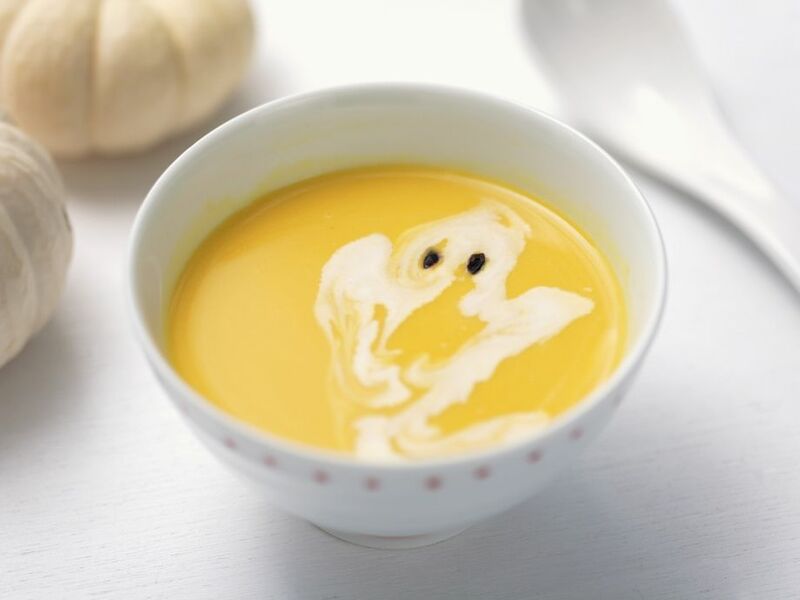 4 Ladle into preheated bowls and use the remaining cream to "draw" ghost shapes on the soup. Use the currants to give the ghosts eyes.